This unit is built to BSEN 14960:2013 therefore meets all legal and safety requirements and best practice for commercial hire use. This unit also requires an extra 2 feet at the rear for the blower, 3 feet at the front for safety mats along with 2 feet either side for safe anchorage. 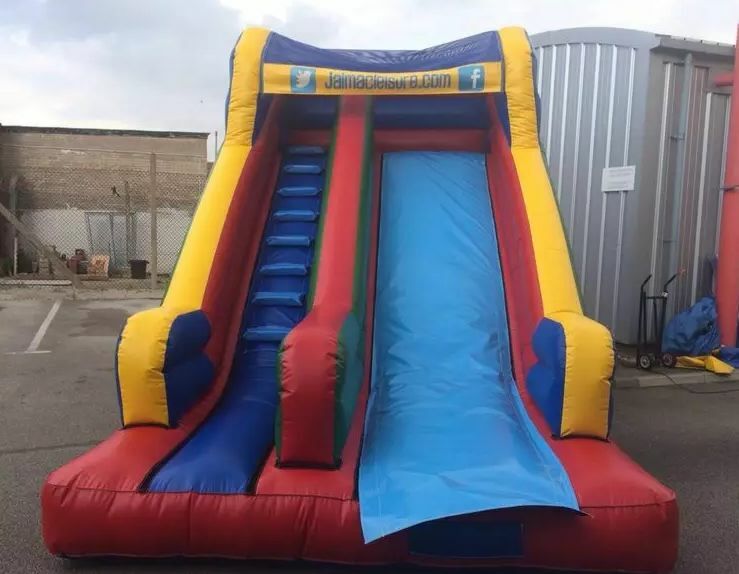 This unit is for children only up to a maximum of 1.5m in height and a maximum age of 12 years old. This unit is not insured for adult use. This unit is suitable for indoor or outdoor use but is very weather dependant as it does not have a rain cover.